What Every School Can Learn From Preschools : NPR Ed A new report argues that non-academic "skills for success" can and should be cultivated and assessed in older students. Preschool students from Nikki Jones' class at Porter Early Childhood Development Center in Tulsa line up in the hallway on their way back from outside play. Listening. Sharing. Following directions. Making friends. Managing big emotions. Planning for the future. A high-quality preschool program helps children develop in all these ways. But, a new report argues, such matters of the heart shouldn't be left behind just as students are learning to tie their shoes. Melissa Tooley and Laura Bornfreund of the New America Foundation write that schools should focus on these same skills, habits, attitudes, and mindsets with older kids. They say research shows they're just as important as academics. That bears repeating. Though public schools are currently held accountable for students' scores in math and reading proficiency alone, evidence from both psychology and economics shows that a wide range of non-academic skills play a big role in determining success later in life. The authors further argue that these attributes aren't coded into DNA. They can be taught, or at least cultivated. Sometimes this means curricula that explicitly cover social and emotional topics. 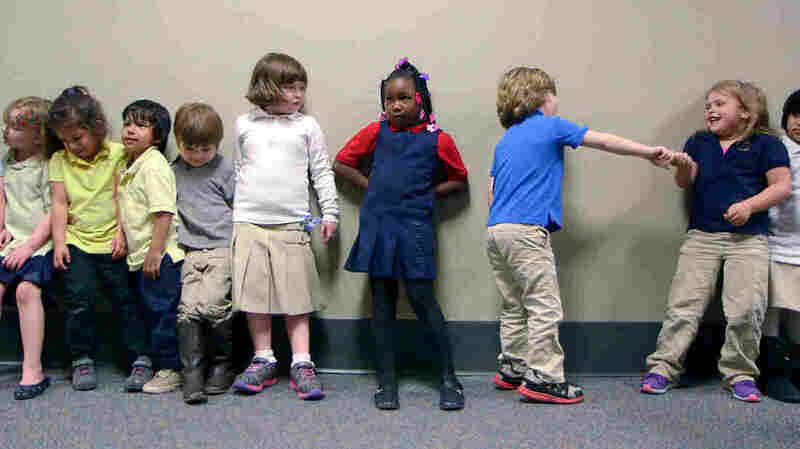 Tools for Getting Along, from the University of Florida, has elementary school students doing lessons on how to solve social problems with classmates. The Brainology curriculum teaches middle schoolers the basics of neuroscience, like the idea that the brain is like a muscle that gets stronger with practice. This is based on research by Stanford University psychologist Carol Dweck that learning these facts can increase students' motivation to work hard in class. There is also evidence supporting whole-school approaches, like Responsive Classroom, which changes how teachers and administrators do discipline. Tooley and Bornfreund argue educators should be paying more attention to how schools are building these skills at all ages, and even holding them accountable for it. "Our goal is to get state and federal policymakers thinking about how to encourage more emphasis on these skills," says Tooley. This doesn't mean more high-stakes tests. When it comes to assessing individual students on attributes like grit, for example, "we're not there yet," Tooley tells NPR Ed. Instead, she argues, the best tack is to hold entire schools accountable for creating atmospheres that instill or support these qualities. This can be done using tools like school climate surveys and sharing the information publicly. It's a good time to have this conversation. Most states, and the federal government, have expanded access to preschool in the last year. To evaluate those programs, they use a wide palette: classroom observation, self-reporting, and more. This report suggests importing some of that more holistic approach to accountability into the higher grades. This doesn't mean replacing an emphasis on academic rigor with something fuzzy and hard to quantify. "It's a false choice," says Tooley. Schools can and should be doing both. An earlier version of this post said Carol Dweck is a professor at Harvard University. In fact, she is a professor at Stanford University.